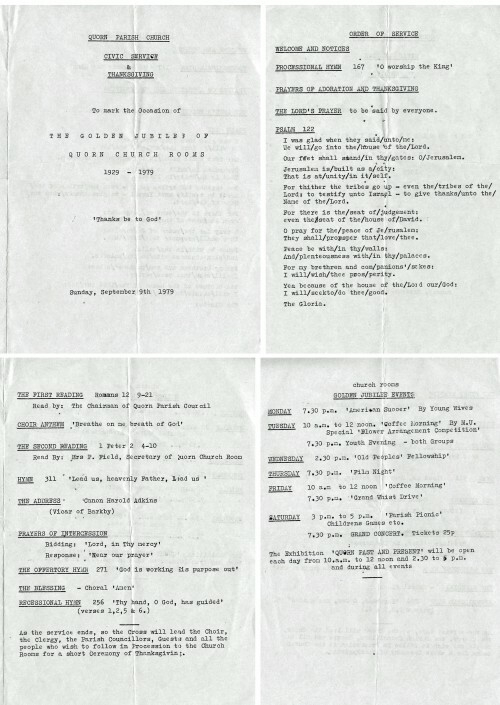 In September 1979 the golden jubilee of Quorn Church Rooms was celebrated with a week of special events. The week started with service of thanksgiving in the Parish Church. Missing information: Does anyone remember what was included in the 'Quorn Past and Present' exhibition referred to in the programme?